Do you have a burning question about tech? Noah Kravitz is sitting in again this week for Jon Rettinger while he's off in Berlin for the IFA show. 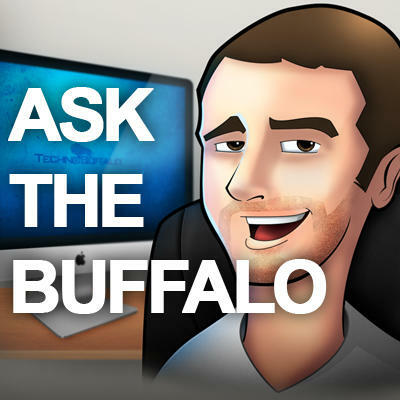 You have until 12 PM PST on Wednesday, August 31st, leave a comment with your question for him, and then you'll be able to see him answer them in a video posted to our Revision 3 TechnoBuffalo channel on Monday at 5 PM PST. What does he think of the Galaxy S II phones Samsung are debuting in the United States this week? What does he really think will happen with the Amazon tablets? Is there any truth to the rumors of Apple working on a TV? Why is the time when the traffic is slowest called rush-hour? Remember, you only have until 12 PM PST on Wednesday, August 31st to submit your questions via the comments on this post or on Twitter to join in the fun! If you want to use Twitter, be sure to use the hashtag #AsktheB so Jon will see it. @reply to noahkravitz .